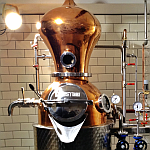 As we’ve seen over the last year the world of craft distilling is exploding. They’ve been seeing the fruits of the expansion over in the USA for a while but there are two big challenges for international distribution of craft spirits: Firstly, sending alcoholic drinks around the world isn’t as easy as sticking a bottle in a box and taking it down to the post office, especially when you start getting up to retail quantities of spirits. There are laws and taxes to be negotiated, shipping costs to factor in and you also need to find someone overseas who wants your spirit. Secondly there’s the issue of capacity – if you make juice good enough that they want it on the other side of the world there’s a good chance that your local drinkers are going to want it as well, and small distilleries can only make so much spirit. As such there’s often very little left over after the locals have bought their share, making it quite hard to find if it does reach a far off shore. Fortunately a few US distilleries are getting over both of these hurdles and are setting up supply lines into the UK. We’ve already talked about Tuthiltown and Balcones on the blog fairly recently, but one of the newest entries into the market over here is FEW spirits, from Evanston near Chicago. Despite them generally being referred to as Few the company is actually F.E.W. Spirits, named for former Evanston resident and temperance campaigner Frances E Willard, who would definitely not approve of the distillery’s output. In the late 19th century she established Evanston as a key headquarters of the Temperance Movement and although she didn’t live long enough to see the outcome of her work, she was one of the key players in helping move the USA towards Prohibition. The town itself has been dry for much of its existence, only legalising the sale of alcohol in the 1990s, making it a strangely (in)appropriate place to set up a distillery. Master distiller Paul Hletko comes from a background of producing alcohol, with his great-grandfather producing beer in Czechoslovakia before the Second World War. However, during the war the brewery was lost to the Nazis and the family moved away from brewing. After Paul’s grandfather died in 2008 he decided to go back to his family’s roots and started up FEW as a tribute. The founding of the distillery has a story, as does the location and, fittingly, so does the design of their bottles. In 1893 “The World’s Columbian Exposition”, generally known as The Chicago World’s Fair, was held in Chicago to celebrate the 400th anniversary of Columbus’s ‘discovery’ of North America. This was during the height of Frances Willard’s work in Evanston and so now FEW have decided to honour the World’s Fair by showing it on their bottles. Each of their labels features a famed landmark from the fair, including statues, buildings and the original Ferris Wheel. Stuck to the side of each bottle is a replica Fair ticket, filled out with details of who distilled the batch in the bottle and which cask it’s from, with various friends of the distillery having casks dedicated to them. So, what’s actually in the bottles? As with many young distilleries FEW offers a selection of unaged spirits along with some cask matured bottlings, allowing them to generate a bit of turnover while their spirit matures. However, rather than the often seen approach of using neutral spirit made elsewhere to make gin and vodka FEW use their own spirit to create something a little bit different. First up is the FEW White Whiskey, made from a corn-heavy mash of 70% corn, 20% wheat and 10% malt. 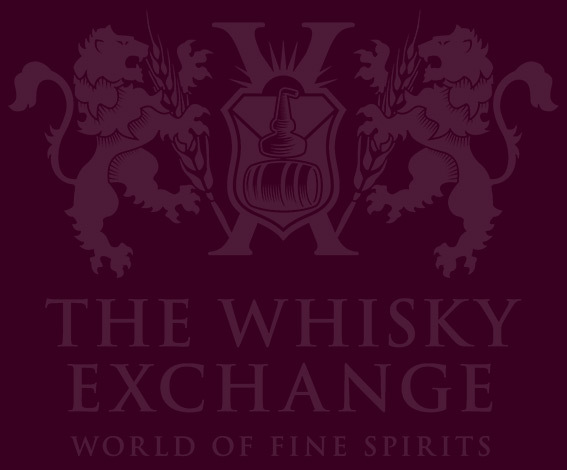 It’s unaged and uses a different mash bill to their matured whiskey, designed specifically to work as a white spirit. They double distil to a relatively low 77.5%, leaving in a lot of the flavour from the wash, before diluting to 40% for bottling. Nose: Grain, caraway, gentle spice and a grind of black pepper. It smells a bit like a good tequila. 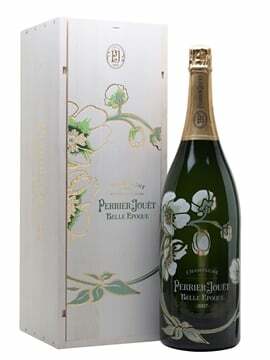 Palate: Sweet but with a solid minerality balancing things – spice, moss, damp bark, rock pools and sweet grain. Finish: Sour and, strangely, woody, with creamy crushed grain, peach stones and oily seeds. Comment: A solid white whiskey with lots of character. Following on from the White Whiskey is their American Gin, made using the same mash bill as the White Whiskey although with the base spirit distilled up towards 90% ABV, to temper the flavour and let the botanicals come through. The recipe has the regular juniper and more common plants such as fennel, as well as less seen ingredients like vanilla and hops. The eleven botanicals are mainly locally sourced, with the hops coming out of Paul’s back garden, but the vanilla comes from further afield, although it still has a connection to the distillery as Paul’s sister worked on the farm where it’s grown while serving in the Peace Corps. Nose: Obviously not based on neutral spirit, with notes of creamy grain and caraway complimenting vanilla, sour cream, spicy juniper and a hint of violets. Palate: Lots of spice with pepper, perfumed wood and savoury liquorice. Finish: Lemon cream and some bitter woodiness. Comment: A full flavoured gin, with spiciness backed by creamy spirit and sweet botanicals. A recently released advance on the regular gin is the Standard Issue Gin, bottled at ‘Navy Strength’ of 57.1% and using a different botanical recipe better suited to the higher strength. It’s a more fennel heavy mix of ingredients and still uses in-house spirit rather than NGS to give a more complex backbone. Nose: Sweet liquorice and liquorice root, sour citrus, ground black pepper, lots of sweet grain notes. Taste: Very sweet and spicy with lemon butter, coriander and a hint of rubber. Comment: A bit strong for me when drunk neat (which I worryingly have started to do with some gins), but with a drop of water it calms down into a nice liquorice gin that should make itself known through a generous splash of tonic. While I am a big gin fan most of the interest in FEW’s spirits has been about their matured whiskey. The first of the pair is FEW Bourbon, a big hit amongst cocktail loving bartenders in London which disappeared off our shelves in a couple of days – we should have a new shipment arriving soon. 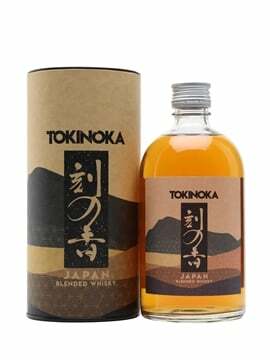 It uses a mash of 70% corn, 20% rye and 10% malt mash along with a low ester producing yeast to create a clean spirit that emphasises the grain and influence of the barrel. They use small casks ranging in size from 5 to 30 gallons, giving the spirit lots of wood contact and helping it draw out a lot of flavour from the wood in a relatively short time. The wood for their casks comes from Minnesota and has quite a tight grain, making it more similar to European oak and giving a clove and spice heavy flavour profile. Nose: Sweet grain, anis, butter and brown sugar. 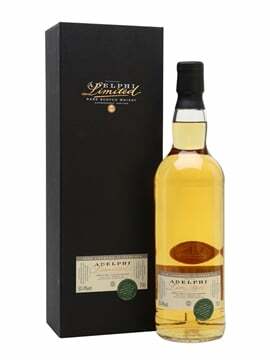 Palate: Big sweet sugariness to start with lots of spice, green apples and rye, fading to a more savoury grain back-end. Finish: Sour fruit balanced by brown sugar with some woody spice. Comment: Definitely a young whiskey, but with more depth of flavour than many of the American craft spirits I’ve tried. Not my favourite on its own but a great component for bourbon cocktails. The final entry in the line-up is the FEW Rye Whiskey, a 70% rye, 20% corn, 10% malt mash fermented using a high ester yeast more commonly used for red wine making, especially Syrah from the Loire valley. This produces more fruity flavours in the wash and spirit which sit alongside the traditionally spicy notes leant to the mix by the rye heavy mashbill. Nose: Dark chocolate, cherry, plum, stewed red apples and some raisins, as well as cloves and spicy grain. 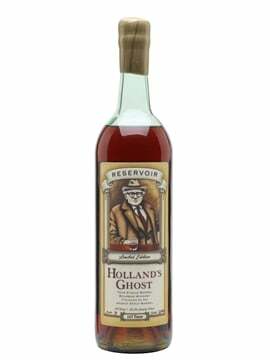 Palate: Sweet and creamy, with rye spice developing at it sits in the glass. It’s slightly hollow in flavour with chocolate up front with lots of fruit and apple skin and cinnamon at the back. Finish: Slightly dusty with caraway, dark wood and apple skin. Comment: On first nosing I thought I’d been handed a Manhattan rather than a whiskey – it’s packed with fruit and barely needs vermouth to create a fantastic cocktail. My favourite of the range, despite not generally being a fan of neat rye whiskey. A great range with everything from sippers to mixers and all with an underlying commonality through their use of in-house produced spirit. Unfortunately it does seem to sell out quite quickly, although Paul and his UK distributor are on the case and we’ll hopefully be able to keep it on the shelf a bit more reliably through 2013.